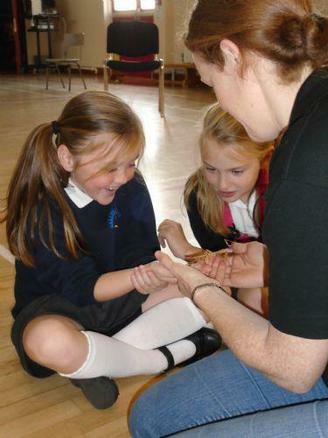 Geraldine from Belfast Zoo packed her car with an African land snail, a stick insect, a hedgehog, a frog and a bearded dragon... and headed straight for BPS! After our visit to the Zoo in October, the animals couldn't wait to say hello to P5 again and visit them in their natural habitat! Pop over to our P5 class page and view our photos.